Greetings, dear readers! I you are doing well! 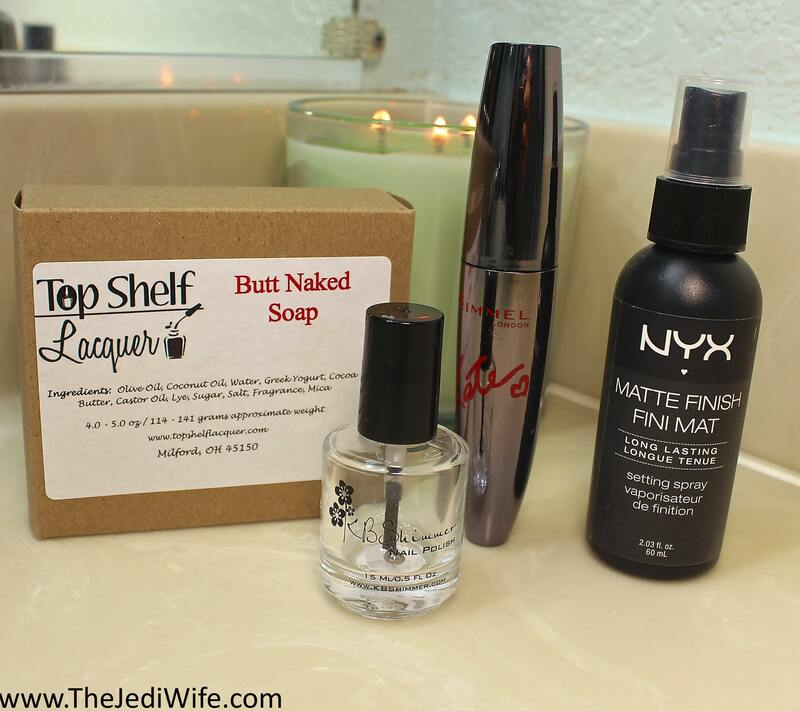 I have a short post for you today to show my empties for the month of July. Since I've been in product testing mode for the past few weeks with Cosmoprof North America, I've set aside a lot of products rather than attempting to empty them. I'll have more CPNA product posts coming up as I continue testing, so I think I'm going to suspend my monthly empties posts for the time being. I haven't really decided committed to the idea yet so plans may change, but I did want to give the heads up. Now on to July's empties! I may not be able to finish a bottle of polish colour often, but I certainly do go through my top coat! I have shared Clearly On Top on my blog a few times already, and as long as KBShimmer stocks it, it's going to be a constant in my life and on the blog. I love this top coat as it dries quickly to a hard, shiny finish and it doesn't interact poorly with my range of nail polish products like a few others I have used previously. Now that my youngest is two years old, I am finding more time for myself to really get into full makeup looks rather than just a coat of mascara! I picked up this matte finished spray by NYX as I wanted a readily available and affordable product to set my makeup, and I don't hate it! It isn't quite as fine as I would have liked when the product is sprayed, but it gets the job done of keeping my makeup in place, even during the hot summer months. While this is admittedly not my favorite that I've tried, I do like the price tag of this particular product and have already purchased another one. Oh, my goodness, dear readers. I have a lot of thoughts about this mascara! I had previously reviewed this mascara when I received my first tube about two years ago, and I really liked it at the time. I had picked up another tube and it sat in the package waiting for me, and this month I finally got around to using it. While I may have liked it when I tried my first sample, I HATED the new tube I bought for myself! The mascara came out of the tube nicely and applied evenly to my lashes for a few DAYS, but it became oddly thick and clumpy soon afterwards. I definitely did not have this issue with my first tube and wore it for about two months then. Needless to say, I am really disappointed with the quality of this particular mascara! I don't know if it had just been sitting in the store too long or what happened as I don't pump my mascara tubes and make sure they seal completely. Whatever the case, I rescind my initial positive review and recommend skipping this one. I really wish I thought to take a photo of this colourful indie soap before I used it up, but alas, all I am left with is just the packaging to include in this post. This soap gently cleansed my skin and left a light and fresh scent. I believe Top Shelf Lacquer has stopped making these for the shop; however, there are still several bars in a variety of scents still in stock on the shop website. That's all I have for today's blog post! What products have you finished lately? Are there any you can recommend? I'd love to hear from you! Until next time, dear reader, have a wonderful day and enjoy the weekend! I go through so many bottles of that top coat too! I need to try Clearly On Top! Clearly On Top is an excellent top coat, I like nearly as much as Seche Vite. Clearly on Top is one of my most finished nail products, lol! If I state that I love a mascara then it's doomed. It will most likely disappoint me the next time. It's not the company, it's usually the product just having it's period and acting up. Great empties! This reminds me I need a new bottle of KBShimmer top coat. I really need to give that NYX setting spray a try. I keep seeing it but never pull the trigger. I love these posts! And I love KBShimmer top coat so that's an obvious buy for em! I love KBShimmer, I really need to try that top coat!